Soaps are often found on the market although even called soap, is actually a detergent, the basic material in use is Sodium Lauryl Sulfate (SLS), Sodium Laureth Sulfate (SLES) is the manufacture of detergents, SLS serves as a surfactant (surface active agent) or cleaning agent. Because it is cleaner, the fat that serves to protect the skin also soluble, so the skin becomes dry and result in irritation. As I mentioned above, the main ingredient is a natural soaps olive oil, coconut oil, palm oil, soybean oil, castor oil, cocoa butter. 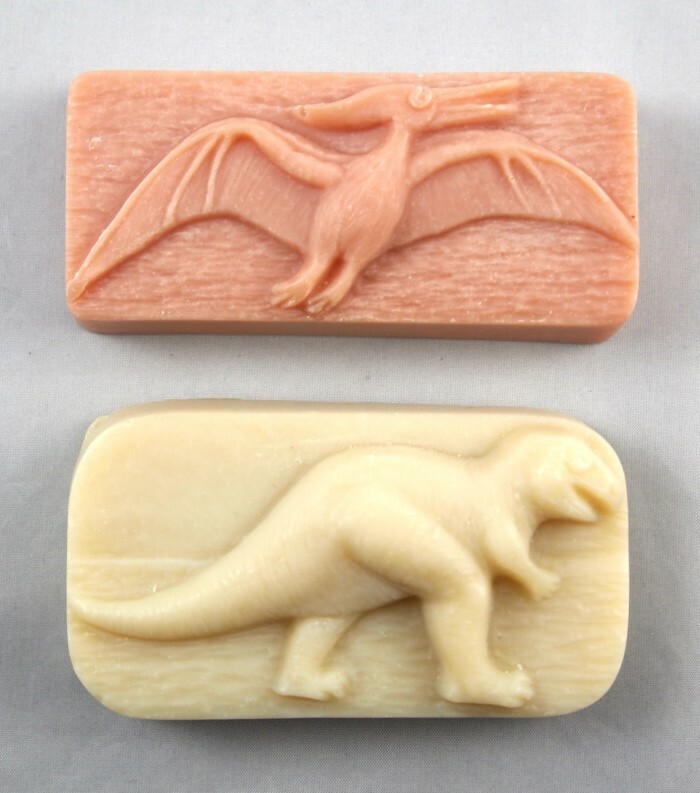 When using natural soaps so dirt and bacteria will be appointed by the molecules of the soap. Then, vegetable oil is very healthy and good for the skin would be attached to the skin, and make skin smooth and glowing. It’s hard to resist adding a fun project to clean up. 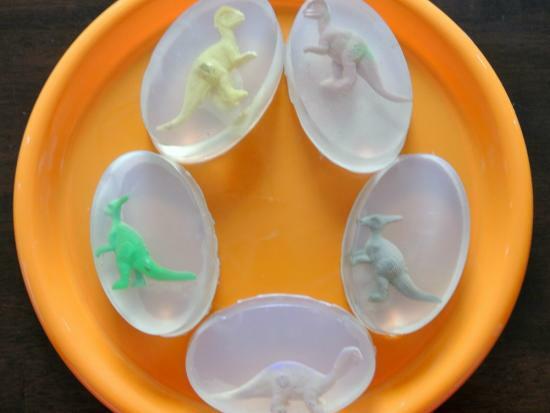 Make decorative soaps for a fun look at dinosaurs. Have an adult, clear glycerin soap cut into 1 “cubes and colored glycerin soap into 1/4” cubes. Place into a glass measuring cups and heat in the microwave on high for 15 seconds at a time. Check between times. 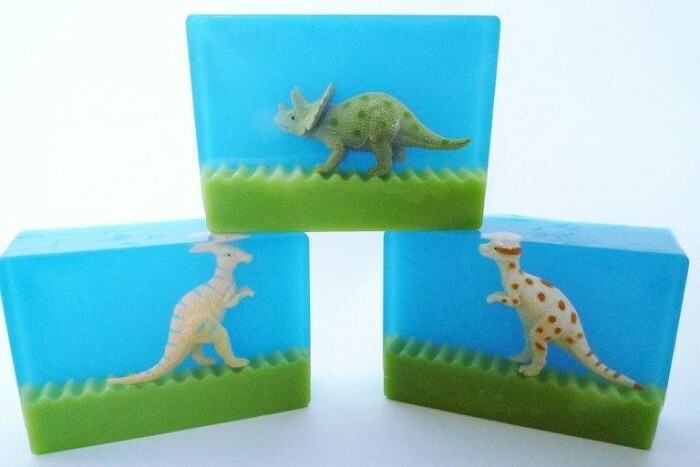 Do not overheat the soap, just melt it.Place dinosaurs into the molds, pour the clear glycerin over them, and place small colored pieces of glycerin into the mold around the dinosaur. Allow the soap to cool 1-2 hours, or place into refrigerator for 30 minutes. Lightly twist the mold and remove the soap from the mold. 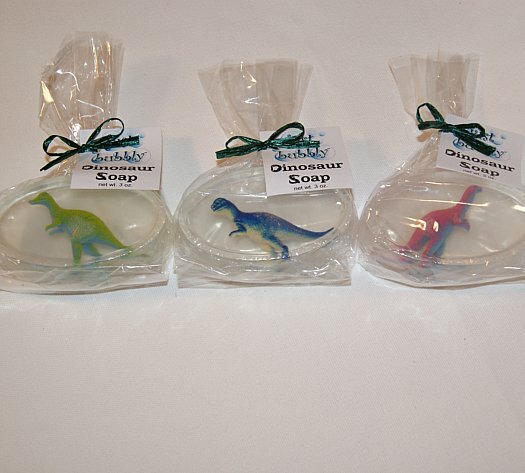 Soaps can be placed in a clear cellophane bag and decorated with stickers for gift giving.